Admitting you need help for substance abuse, addiction or alcoholism can be a difficult place to come to in the process of recovery. People suffering from drug addiction or substance use disorders often will try every avenue to avoid getting help through treatment. Family members and friends often will offer justifications or rationalizations for drug and alcohol abuse or behaviors that support that abuse. Addicts and alcoholics have millions of excuses why their behavior is okay, why their use is under control and why they don’t need help to stop. However, it is important to identify specific indicators that may qualify someone for needing addiction treatment through a drug rehab. Again, drug treatment can be comprised of many different levels of care and here are ten questions someone suffering from substance abuse can ask themselves to decide if they need rehab for drug and alcohol abuse. Do you suffer withdrawal symptoms when you attempt to stop using? Withdrawal symptoms can be physical, psychological, mental or emotional. The most common form is physical withdrawal. In these situations, typically a medically supervised detox is necessary. Opiate users addicted to substances like heroin, OxyContin or Percocet will suffer physical withdrawal symptoms. Alcohol and Benzodiazepines like Xanax can have fatal withdrawal symptoms if not medically treated. Has your drug or alcohol use progressed from “partying” to using and drinking alone? Most people that suffer from addiction begin in the same way that everyone else does: Fun, party-like atmospheres with friends but ultimately find themselves using and drinking alone in a depression. Do you need to use more to get the same effect you once did? This goes for any substance. Where you may have used to take one OxyContin and nod out, now you’ve gone where one OxyContin only makes you feel somewhat normal and you have to do many more to nod out? Does one drink not do for you what is did for you several years ago? Do you get an opposite reaction to drugs then other people or do drugs and alcohol give you an opposite reaction then intended? Many people with a substance abuse problem get an opposite reaction to the drugs than most people. Does a stimulant like cocaine actually make you calmer and more leveled out? After awhile, does heroin not make you nod out but instead wakes you up? Does alcohol, a depressant, actually give you energy? Are you suffering negative consequences due to drug and alcohol use? Have you lost a job? Have your friends been pulling away because of your use? Have you gotten a DUI or multiple DUI’s? Are you unable to save money? Did your relationship break up because of your use or your behaviors? Are you experiencing increasing health problems? Have you experienced issues with your liver? Your heart? Extreme weight gain or weight loss? Problems with your skin or teeth? Have you noticed your hygiene or grooming habits become negatively affected? Are you experiencing any psychological or psychiatric issues? Do you find you have little or no control over the amount you are using or drinking? Do you plan to go to the bar and only have a couple drinks and instead get ridiculously drunk or black out every time? Are you planning on using just enough opiates to maintain and not get sick from withdrawal but instead use too many and wake up in the morning terrified because you have nothing left? Do you hide your drug use from your friends, sometimes even the friends you use with? Do you want your others friends you use with to not “know how bad” you are? Do you hide the amounts that you use, even with friends using the same substances? Do you change up your friends to keep hidden exactly what is going on with your drug use? Are you a constant relapser? 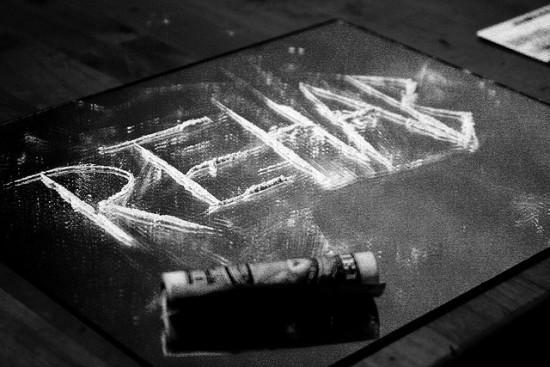 Have you been to drug rehab or an addiction treatment center many different times but keep relapsing? When someone confronts you about getting help for your drug abuse do you use the standard “rehab doesn’t work” line? Or perhaps the “What are they going to show me differently” because you’ve been there before? Or even the famous “I don’t need treatment. I could run those groups”? Do you know all this and keep relapsing? Do you use because you’re unhappy, lonely and afraid and you’re unhappy, lonely and afraid because you use? Addiction and alcoholism is a lonely business. The internal sadness, the pain, the fear, the self-doubt, the insecurities and the loneliness that an alcoholic and addict feel is unlike anything else on earth. It is a deep pain and sadness and loneliness and it is made worse because the addict/alcoholic feels that no one understands and no one could ever feel as they do. They feel alone in the universe. Do you feel this way? Do you feel this way and use and drink because it is the only thing that makes you feel okay? But do you use and drink and still feel incomplete? Still feel broken? If you answered yes to many of these questions then you certainly may need to explore getting help in some form of substance abuse treatment program or drug rehab. There are many different types of treatment and many different levels of care, but if you identify with the answers to many of these questions, please seek appropriate help.